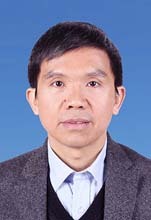 Dr. Qingbiao Li is the President of Jimei University, the distinguished professor of Xiamen University and the doctoral supervisor. His research main focuses on the interdisciplinary field of chemistry, biology and environmental science. He has taken in charge of over 30 scientific research projects such as the 973 Project, 863 Project and the National Natural Science Foundation Key Projects. In addition to it, he has published more than 200 papers which have been accepted by SCI and EI. He has obtained 22 national invention patents as well. Apart from his scientific achievements, he has won 3 national and provincial science and technology progress awards and has been awarded the National Petroleum and Chemical Industry Outstanding Science and Technology Workers.